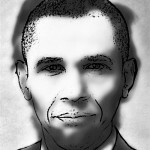 Barrack Obama Optical Illusion...Or Is It? 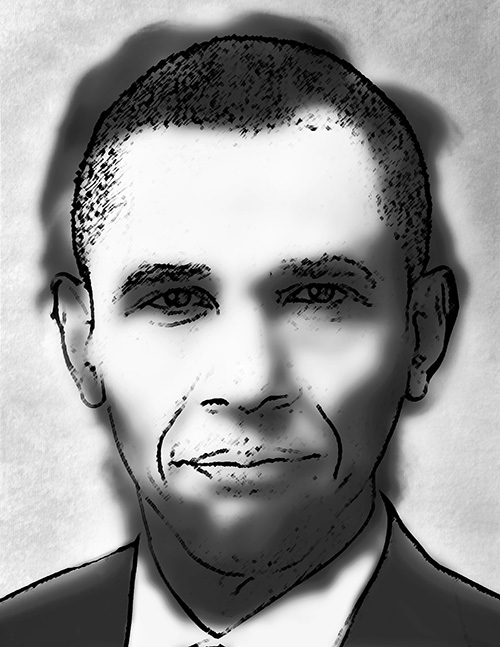 Barrack Obama Optical Illusion…Or Is It? Well, hello Mr. President! But, wait! Who do you really see—President Obama or president Lincoln? If you see President Obama, congratulations—you’re not shortsighted! People with normal vision and those that are farsighted are able to focus on the details and lines in this image, which make President Obama’s face. If you wear glasses for nearsightedness, take them off and look again. You should see President Lincoln. If you have normal vision, try moving back from the monitor to see Abraham Lincoln. As we get farther away from objects, it gets harder to make out fine details like lines, and it’s much easier to focus on the blurred background that makes President Lincoln. But, what if you saw President Lincoln first in this Obama optical illusion? May I suggest a trip to your eye doctor? What did you think of today’s Obama optical illusion? Did it trick you? If you liked this one, make sure you check out the Einstein-Monroe optical illusion! Prev This Spinning Spiral Optical Illusion Will Blow Your Mind! Next Smiling Happy Kids—Nothing Wrong With This Picture! a new look for Mighty Optical Illusions – much more like the old look – YAY! But how will I know what day of the week it is? Any comparison of Obama to Lincoln IS only an illusion!